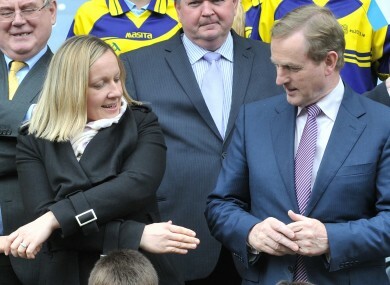 Could the Taoiseach repair relations with independent Lucinda Creighton after the next election? ENDA KENNY HAS praised the work of a number of independent TDs in the Dáil as being “quite constructive”. The Taoiseach’s comments could be perceived as an olive branch to non-party deputies as the prospect of the current government returning enough TDs to form a majority after the next election appear to be lessening. Kenny was speaking during the course of a wide-ranging interview with political correspondents prior to the Christmas break when he discussed the possibilities for the next government. The Fine Gael leader has a clear preference to return the coalition with Labour but polls indicate both parties will not win sufficient seats to form a government next time out. Kenny warned that the choice facing voters at the next election is to continue with a government that had made unpopular decisions but had “pulled the country out of the economic swamp that it was in” or give the country over to “tax and spend parties where clearly there are serious repercussions”. Kenny said that Fine Gael was making preparations for the next general election, which he insists will be in 2016, with Justice Minister Frances Fitzgerald heading up the party’s electoral strategy. He said that he is determined Fine Gael will meet the 30% requirement for female candidates at the next election. Read: Just how many new parties are we going to have before the next election? Email “Could Enda Kenny do a deal with independents after the next election? ”. Feedback on “Could Enda Kenny do a deal with independents after the next election? ”.